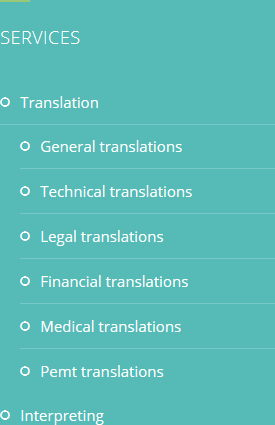 Translations from English to French on your website might not be the first thing you consider. It might not be something you need to consider at all. But it could well be the difference between becoming a global brand and selling abroad, and staying smaller and more local. Which would you prefer? If you like the idea of staying small and local, then using a language translator for your website many not be necessary. However, if you want to be known across the world, or even in specific countries, having your website translated can be the first step towards reaching that goal. One reason to consider having someone translate English to French on your website is if your company already sells abroad, or if you are planning on doing so in the near future. It makes sense to give all the information that is currently in English in another language such as French, Spanish, or German – depending on where you are launching your product or service. Another reason for translating your website is to keep growing. Creating a sustainable business can be a hard thing to do, and it is often based on profit. More sales equal greater profits, and sales abroad will increase your profits substantially. It makes sense to target a foreign market. The majority of companies will have competitors – it is extremely rare to find one that doesn’t. You need to work out how to stand apart from yours, and having a multilingual website could be the answer. 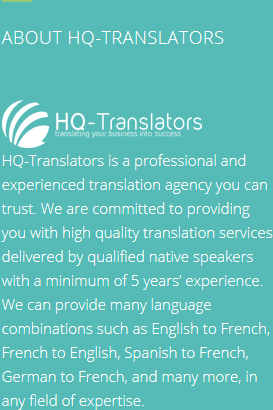 No matter what your reasons for needing translations from English to French, here at HQ-Translators we can assist you. Contact us today on either infos@hq-translators.com, or (00 237) 242 71 38 38, or (00 237) 693 21 69 27 to discuss your requirements. 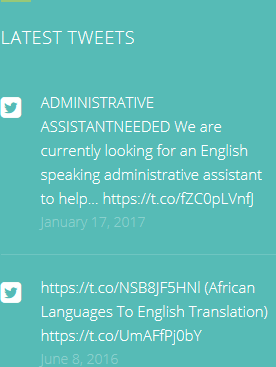 Check out our website at https://hq-translators.com for details.